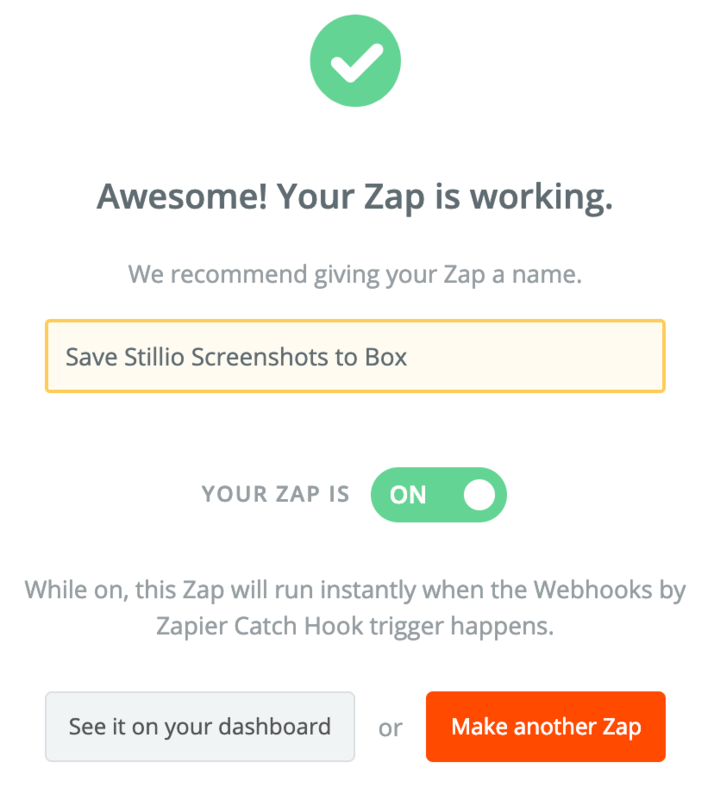 Stillio lets you sync all screenshots to a Box.com account by using Zapier. Search and select the "Box" app. 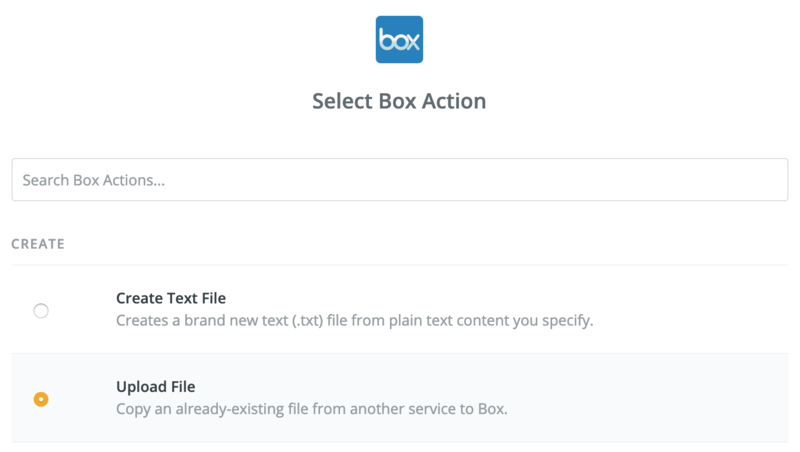 In the next step, you need to Select a Box Action. Folder - Select a folder in your Box account. You can only select (and not create) a folder here, so you might want to create a new folder in Box first, e.g. "My Stillio Screenshots". 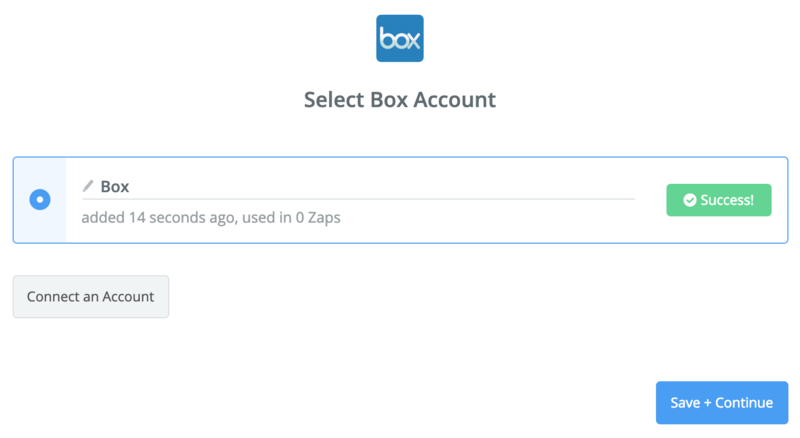 In the next step, you let Zapier send a test file to your Box account. Click "Send test to Box". 🎉 Congratulations! 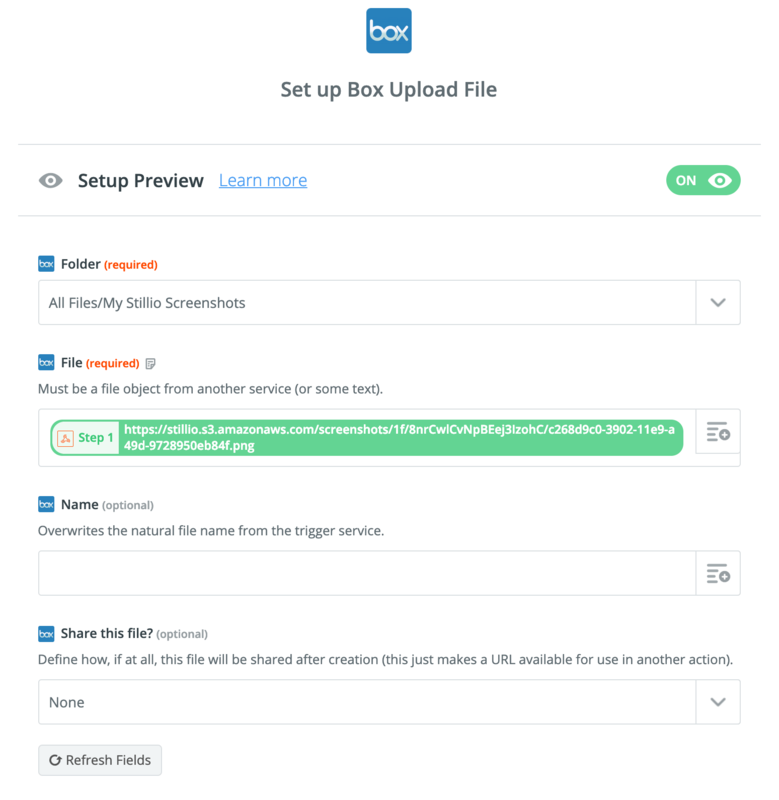 Your Stillio screenshots will now be saved to your Box account.